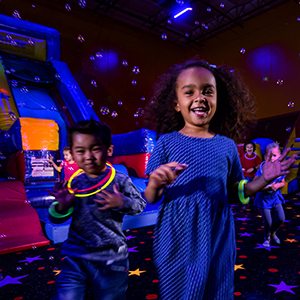 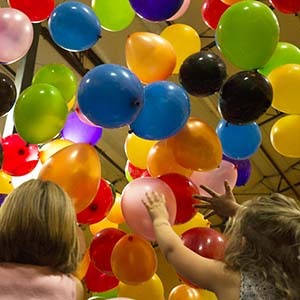 Imagine more than a hundred balloons dropping on your child and all their party guests. 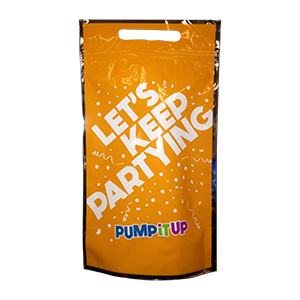 This bag includes a Pump It Up cup, variety of fun glow in the dark toys, candy and novelties to enjoy! 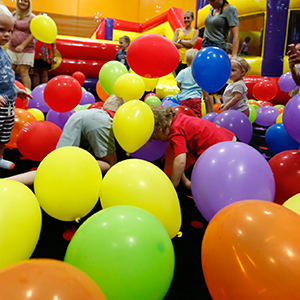 The kid's will be talking about this bag for weeks! 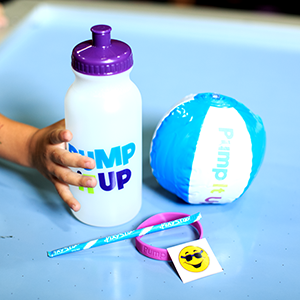 28 ounce brightly colored Pump It Up water bottle filled 6 cool toys and 4 awesome pieces of candy!